These 7 points make a winning credit card application. Are you having a tough time getting approval for a credit card? Yes, it’s not as simple as filling up an online application and clicking the ‘submit’ button (as some credit card issuers would tell you!). Credit card companies have some stringent criteria to follow when they consider the credit card applications. Therefore, it is imperative that you know about the qualifying criteria to get a credit card approved. You can also do proactive planning beforehand so that, you will be in a position to better estimate your possibility of getting your credit card approved. The minimum age to qualify for a credit card in the U.S. is 18. However, if you need a credit card at that age, you need to have a steady income source for your credit card to be approved. Alternately, you may also have someone to apply for a joint credit card on your behalf. If you are barely 18 and desperate to have your credit card approved, you can still cite the earning from your part-time campus work in your credit card application. If it seems to be high enough for a credit card issuer, you may have your credit card approved. Remember that you need to have your income to qualify. The new U.S laws state that you can’t cite your parent’s income unless you apply for a joint credit card. From your income level, the credit card issuers calculate a critical indicator of your repayment capacity- the debt-to-income ratio. You can lower this ratio either by increasing the income or by decreasing debt. Include all the money you earn (everything you make beyond your full-time job too) on your application so that a favorable debt-to-income ratio gets reflected. But do not overstate your income or provide false information to get your credit card approved. Remember indulging in credit card frauds is punishable in the U.S by up to a fine of $1 million and/or imprisonment of 30 years. Do you know that 30 % of your credit score depends upon how much you owe and your credit score is affected big time if you have a high credit card balance? Your balance by credit limit ratio (also known as the credit utilization ratio) should remain below 30 % on your credit card(s). With the help of this ratio, a credit card issuer will determine whether you are in a position to afford another credit card at the moment. Therefore, you should pay off your existing balance as fast as possible and keep your credit card balance lower all the time. The better the credit score, the higher is your chance to have your credit card approved. Some credit card providers will approve credit card applicants with good credit history and spotless credit reports only. Some of them will approve you for a card only if you have not had any late payments in the past 2 years. But you have no reason to worry if you have bad credit. There are ways to get a credit card approved even when you have a bad credit history. We told you not to worry even if you have bad credit, and you can’t get a regular credit card approved. Yes, you have a way out with a secured credit card. This card needs you to pledge a security deposit against your assigned credit limit before your card is approved. You may stake your claim for a regular or unsecured credit card if no negative information appears on your credit report. Therefore, start planning and setting aside in small amounts from now on if you want to accumulate a good security deposit and get a credit card as and when you need. If you fail to get a credit card approved for yourself (for not meeting minimum income or having bad credit), you may ask one of your friends and family members to come to your rescue as a co-signer in your application. The co-signer must meet the qualification criteria so that the application for both of you is approved. You need to keep in mind that your co-signer is taking a risk by keeping faith in you and agreeing to be a co-signer. He will pay, if you fail to repay the credit card balance and he will receive all the credit damage originating from your default payment. Most of the reputed credit card issuers offer reconsideration lines. Here you can plead your case if you think you have done everything right and do not deserve to be denied a credit card. Remember that you have all the right to question a card issuer about a denial. You can also check your free credit report to see if it has any blemishes or ‘misreporting' on your credit history. While making your points clear to the credit card issuers, try to convince them about why you need the card and what makes you fiscally responsible. Be polite and keep a pleasant demeanor throughout the argument and you will be more likely to get a positive response. Professional resources such as AFINOZ.COM are there to assist you in this regard. Here you will get expert assistance regarding ways to get your credit card approved, at no extra cost. 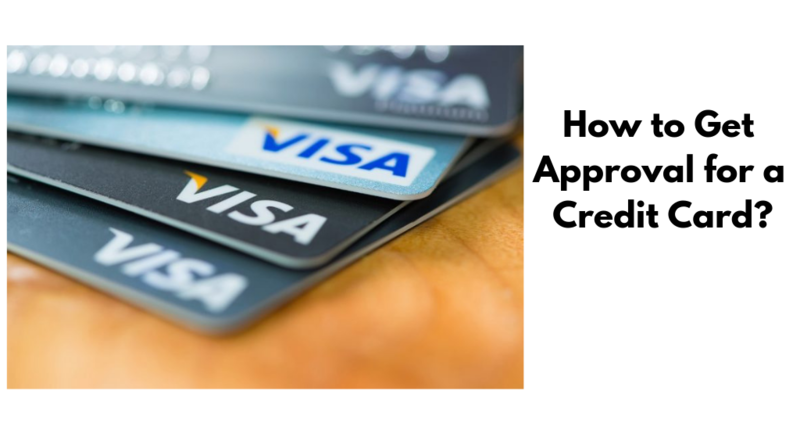 Now that you are aware of how to make a winning credit card application, let’s now turn our focus to another breed of popular credit cards- the instant approval credit cards. At times, you are in such a hurry that you need a credit card in no time and you just can’t wait for an entire application process to end. Thankfully, instant approval credit cards are there to serve your purpose. Simply speaking, an Instant Approval Credit Card is a card that is agreed upon or approved when you submit your credit card application. In most cases, you can go for credit card apply online, through the secure application website of a credit card issuer. Do note that you need to have an excellent or good credit rating to be able to get such cards approved. As mentioned earlier, these cards are of great help if you are in an urgent need of credit. Most websites will be ready to offer you cards even on weekends and holidays if you meet their qualification criteria (income, credit score etc.). The credit card apply process for such cards are quick and easy enough and you can opt for credit card apply online, from the comfort of your home. Experts, in general, advice people to stay away from the Guaranteed Approval credit cards, though these can be availed really quickly. This is for the simple reasons that they tend to be costlier and often come with extra fees. Therefore, it is highly imperative that you should read the mentioned conditions carefully before applying to any credit card issuer. It takes a bit of time to go through all the details but we would advise you to be thorough about the fees/costs involved. It’s important not to ignore critical points in the rush of applying. You need to compare among many such offers available and choose the best to suit your needs. Most of these cards do not offer good benefits or rewards and the quality of customer service also happens to be very poor. In most cards in this category, the payment processing systems and the websites are not up-to-date and people often complain about inadequacy with their payment systems, website interfaces, online account checking etc. Offers from these credit cards may look very attractive in the first place but they do not report to any of the major credit bureaus. This may invite some headaches for you while using their services later on. Therefore, if you are struggling with your credit profile, we would recommend you to go for options such as credit cards for bad credit, credit cards for fair credit or secured credit cards. These cards will help you to build and strengthen your credit over a period of time so that you eventually qualify for the best available reward cards. Also, do not panic when your application is not approved by a lender when you make your very first attempt to apply for credit card. It may so happen that the lender/card issuer needs additional information from you and may approve your application once you submit those. Upon rejection of your application, do ask for a clarification from your lender and check your credit report for any reporting errors. If you spot any error, take adequate steps to get those corrected as soon as possible. At times, it may be tempting for you to apply for another instant approval credit card as and when one of your credit card applications gets rejected. We would advise you against this as it will make a telling blow to your credit rating. Applying for multiple credit cards in quick succession raises enough suspicions in the minds of the lenders and your profile may be deemed as a risky one. The effective financial platform of Afinoz is there to provide you with all the assistance you want. Our experts will churn the sea of credit card offers in the market and will help you select the perfect one, as per your specific needs and to suit your spending habits/patterns. We have exclusive tie-ups with the best credit card issuers, and you can have your credit card approved with utmost ease. There is no annual fee for the first year and then the user has to pay $95 per year. This is an excellent card for those looking for reward points. For every $1 spent on travel you will earn 1 point. You will also earn 1 point per $1 spent on other purchases. You also earn 25% more when you redeem the points while travelling through this card. 14.24%, 22.74% or 26.24%, the interest rate depends on the credit score of the user. This is one of the best choices when you are searching for travelling card. It allows transfer of miles to more than 10 associated airlines making you earn the benefits. The more you travel the better are the rewards. For every dollar spent, you earn 1.25 miles. You can redeem these points by while paying for purchases on the card. This card entitles you to get 10 complementary airport lounge visits every year after you make a one-time signup with Priority Pass™ Select. The user also gets to earn a weakened stay after he/she has spent $15,000 on the card in a year. The user needs to pay $99 for the first year. This card offers no foreign transaction fees. The card also enables the user to enjoy preferred boarding on American Airline Flights. You can also save 25% on the food and beverages purchased in the flight. The card lets the user earn 2 points per dollar spent with Southwest Airlines and with Rapid Rewards airline. You get 20% rebate on inflight purchase done using this card. You can earn 40,000 points on spending $1000 in the first three months of purchasing the card. If you are looking for a card that offers good cash back offers, then Discover it Cash back cards are the best. The card offers 5% cash back on various categories. These categories keep on changing every quarter. This 5% cash back rate is limited to the first $1500 purchases. This no annual fee credit card is the best for those who are looking for interest payment relief. It is one of the best choices that you can make for balance transfer. While other cards may charge you with a fee for balance transfer, the Chase Slate card offers free balance transfer during the first 60 days of opening of your account. This card is the best for the students as it offers 5% cash back on various categories through the year. No you get to earn 30K bonus points when you spend $3,000 in purchases in the first 3 months. This 3X points works for dining out, gas station rideshares and transits. The user also earns 1X points for other purchases. If you are looking for card that charges no late and penalty fees, then Citi Simplicity card is a good choice. The user gets 1.5% cash back on every purchase. You also get to earn $150 bonus after spending $500 on the purchases done in the first three months of account opening. This is again a good choice for those who are looking for cash back and rewards. The card lets you earn a one-time $500 cash back on purchase of $3000 in the first three months. Moreover, you can earn 4% cash back on dining and entertainment and the card offers 2% cash back on grocery purchases and 1% on all other purchases. Get $150 statement credit after you spend $1,000 in the first three months of getting the card. You also get 2% cash back at U.S. gas stations 1% back on other purchases. For the lovers of travelling this is a good choice. It lets you earn 1.5 points for every dollar spent on all the purchases. The card doesn’t charges any foreign transaction fees and also the points don’t expire. Those who are looking for business credit card, getting Ink Business Unlimited credit card is a good choice. You can earn a bonus of $500 after spending $3000 on the purchases done in the first three months of opening of account. You also earn 1.5% cash back on every purchase done for your business. This card gives you cash back of 1% on purchases done on groceries, gas, mobile phones, cable, internet, etc. Again a good choice for business cards. You get to earn 5% cash back on the first $50,000 spent. This amount must be sent on telephone services which are directly purchased from US services providers and US office supply stores. The card mentions 8 categories, on the purchase from these categories; the user gets a cashback of 3% on spending $50,000. The card lets you earn a cashback of 1% on all the purchases. The user gets $200 credit line after making a security deposit of $49, $99 or $200; this is based on your creditworthiness. Get 4% cash back on dining and entertainment with Capital One Savor cash rewards credit card. It also gives you 1% cash back on other purchases and 2% cash back on grocery stores.